Screen shots cannot begin to capture the ease and depth of Charms. 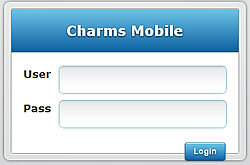 The entire Charms program is available from this one screen. Customizable layout allows the Hub to be personalized to your needs. Use the Bookmarks block to make a quick link to any screen in Charms. 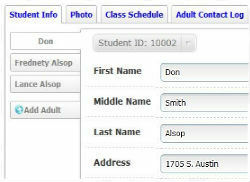 Record all the important information about your students or members. Room for up to 10 adults per student / member, with phones, emails, cell carriers and so much more! 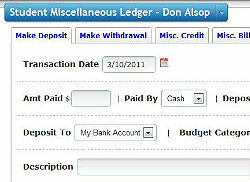 Our CPA approved financial system allows you to track trips, fundraisers, bank accounts, budgets and so much more. And parents can see a complete financial statement for their student online! 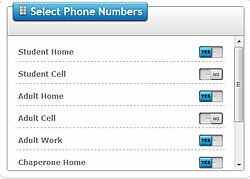 Simply record your message, filter your phone list and click Dial. Every person you select receives your phone message or text message. Give up the phone tree! 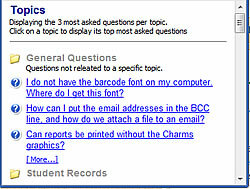 The Charms recorder is built-in to the parent/student portal and available to every student at no additional cost. 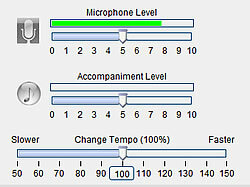 Freedom from clunky installed expensive assessment software! Beyond email, Charms is a comprehensive parent communication system, with phone calling, text messaging, interactive calendars, parent portal, online handouts, news feeds and so much more! Mobile-customized Charms is available on whatever mobile device you carry: iPad, iPhone, Blackberry, Android, Nook and whatever comes next. Take attendance, contact parents, search libraries and more! Our calendar is more than a calendar! 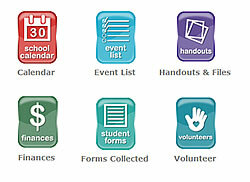 Volunteers signup to help, parents RSVP, you can setup attendance events, and even sync with your mobile devices. 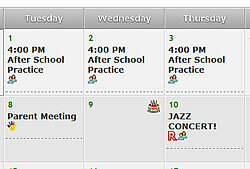 And the calendar can be customized for every group in your organization!